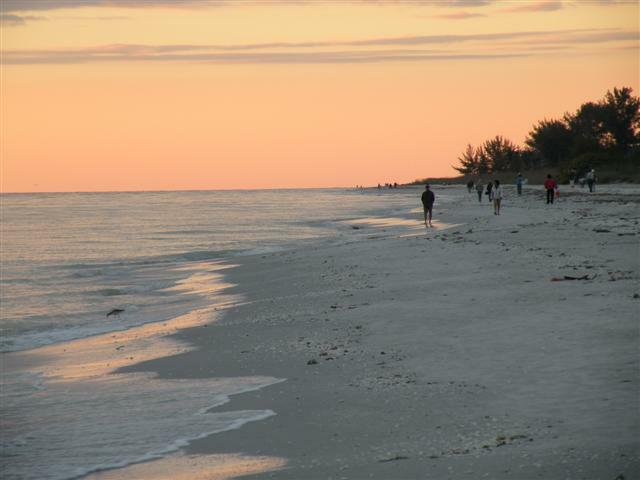 A three-mile causeway from Fort Myers across San Carlos Bay to the barrier islands of Sanibel and Captiva takes you back to a gentler time. People seem to move slower here where there are no stop signs, no street lights, and no structures over three stories. The year-round population of about 6,200 souls bulges to 20,000 in winter when snowbirds of all stripes migrate here from the frozen North. Twenty-five miles of biking trails along with a 100-mile kayaking trail called the Great Calusa Blueway, the best shelling in the world, and opportunities for sport fishing make this a great getaway for those who love the outdoors. A stunning 11-mile sweep of white sand washed by turquoise water fringes the southwest shores of the islands facing the Gulf of Mexico. Mansions of the sanded gentry and resorts line the beach awaiting the migrating flocks. The cozy Island Inn, splashed with happy Caribbean colors, has served as a home away from home for returning generations for over 100 years. Gracious grounds shaded by royal palms, a bountiful shelling beach, and arguably the best view of the sunset on Sanibel, make this a favorite spot for weddings and family celebrations. The newly remodeled traditional restaurant serves Mediterranean cuisine, and liquor, for the first time in the Inn’s illustrious history. Enjoy a relaxed breakfast in the sunny lounge before heading out for a day of adventure. 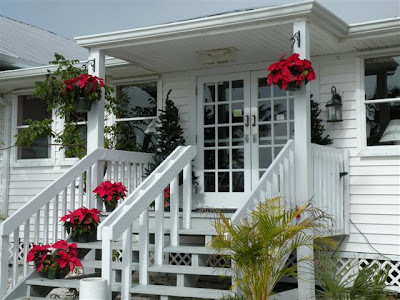 The Stone Crab, about a half mile from the Inn, is a local hangout with great seafood at reasonable prices. 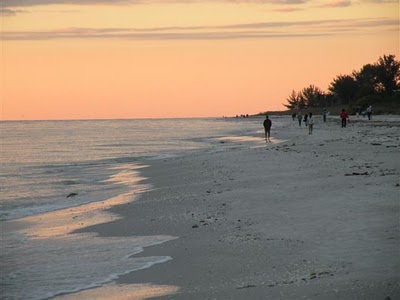 Sanibel voted against street lights that could reduce one’s ability to witness the intense beauty of the heavens, so a moonlight stroll to the restaurant is especially nice. This decision is also a courtesy to the light-sensitive loggerhead turtles that return here to breed from the beginning of May to October. You can rent a bicycle at the Inn and pedal over to the 6,200-acre “Ding” Darling Refuge which occupies about half of the island. 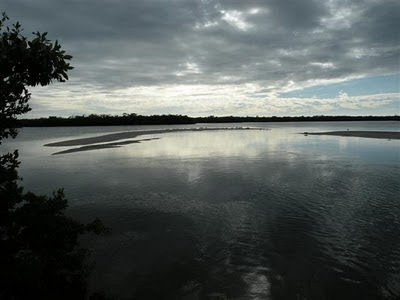 A four-mile road winds through mudflats and mangrove forests of the National Wildlife Refuge established in 1962, just one year before the causeway opened bringing throngs of tourists and development. 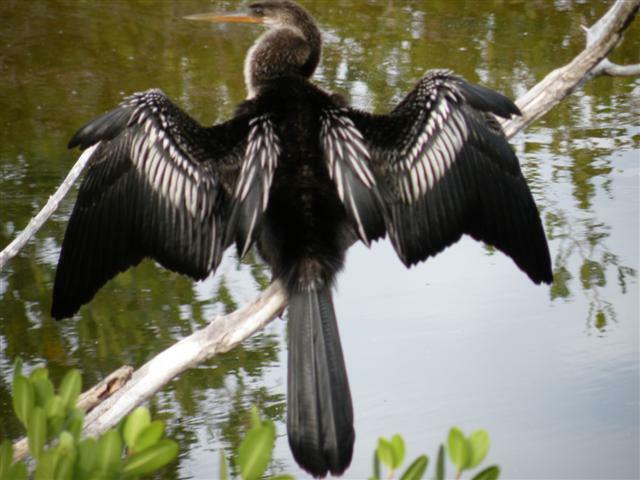 The bird haven is best seen by bicycle because it allows you to easily pull over to investigate the nooks in the mangrove forests where ibis, anhinga, and night green herons roost. Be sure to stop at the viewing tower to glass the tidal flats where flocks of white pelicans congregate on the sand bars, and roseate spoonbills dabble for a meal. Tarpon Bay Kayak offers kayak and tram tours of the refuge. Kayaking is the best way to explore the endless waterways in this region that at low tide are often too shallow for motorized craft. 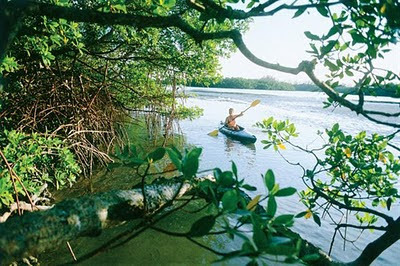 I chose Adventure Kayak in captivating Captiva, Sanibel’s little sister to the north. Adventure Kayaks, owned and operated by Brian Houston, was the first kayaking company on the island. Brian is an expert who takes time to teach the greenest novice how to maneuver his top-of-the-line kayaks. It is a tremendous pleasure to glide through the water in an easily maneuvered craft that is very sensitive to steering cues. After a hearty lunch at the Tween Waters Inn beach bar, I met up with Brian’s son John, owner of Native Guides. In his custom motorized launch, he takes folks sport fishing, shelling at Cayo Costa State Park, for a sunset joy ride, or whatever your pleasure might be. 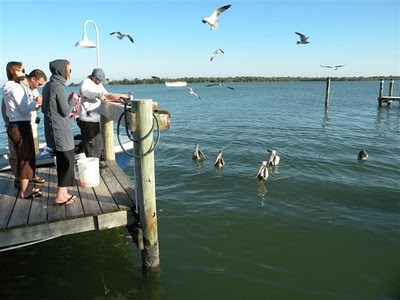 When I arrived, he was filleting grouper for his last bunch of guests and feeding the innards to the pelicans and herons lined up for the feast. Native Guides offers a day trip to Pine Island for a tasty seafood feast at the Tarpon Bay Lodge and then a guided walk on the Calusa Natural Heritage Trail. A student of the indigenous Indians, John delights in imparting his knowledge about them. Born on Captiva, he knows every aspect of the region. He took me to a sleepy lagoon populated by nesting osprey and then for a spin around North Captiva where damage from Hurricane Charlie that struck on Friday the 13th 2004 can still be seen today. We stopped at Red Pass just as a burnt orange globe dropped into the sea and a luminescent mauve and lavender glow lit the horizon to the east. Bring a hearty appetite to the splashy Keylime Bar and Grill in the heart of tiny Captiva and enjoy live music any time of day. The seafood antipasto, a mix of clams, mussels, and squid in a wine-lemon broth will excite the most discerning fruit de mere aficionado. It is just minutes from pristine Captiva beach with billowy sand fringed with white surf perfect for an afternoon of lollygagging. It’s hard not to have fun here with so many easily accessed outdoor things to do. The best time to come is fall, winter, and spring. Christmas week is high season, so it’s best to avoid the deluge in the last two weeks of December. You can expect any kind of weather. Brilliant cloudless skies can be blanketed in mushrooming gray in a matter of minutes. Be prepared for tropical squalls in between sunshine and blustery winds. 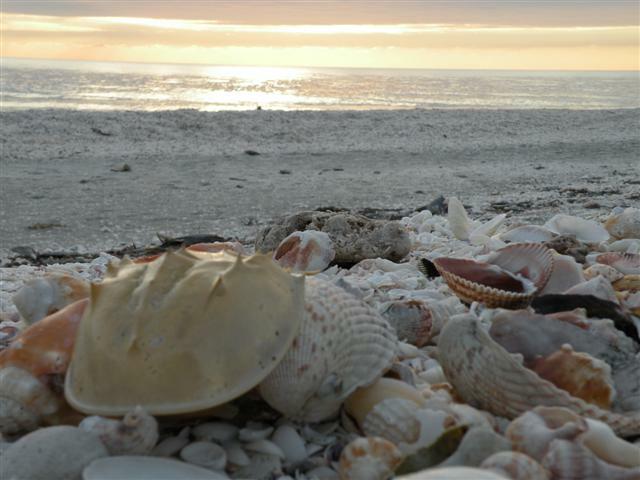 My last evening was spent strolling with other shell seekers along the beach in front of the Island Inn. Winter storms decorate the shores with lightning whelks, Scotch bonnets, starfish, horseshoe crabs, conch, and more. There is a display of prized shells collected over the century by guests in the lobby of the Inn, but if you want to learn more, visit the Bailey-Matthews Shell Museum for the finest collection in the western hemisphere. The sunset of pastel pink, periwinkle blue and lavender stippled against yellow gold sky remains my favorite keepsake of this very special place preserved by loving generations for us all to enjoy. Note: There is one land taxi on the Islands and no other public transport. Water taxies and Captiva Cruises take travelers to outer islands. 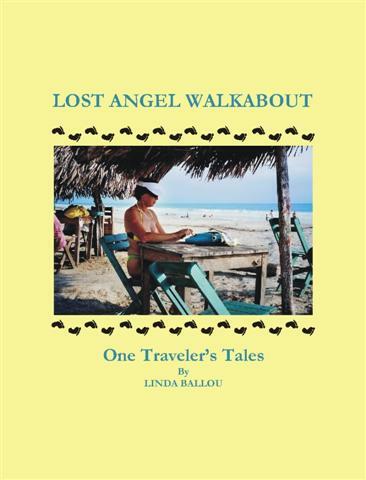 Linda Ballou presents a slide show highlighting the geographical settings in her travel collection Lost Angel Walkabout -an eclectic mix of chills, spills, giggles and squeaks on Monday, January 17, 2011 at 7:30 p.m. Admission is Free. Public parking across the street is also free. Such a deal. In my column I impart travel news and advice. Please join me there at NAABW. 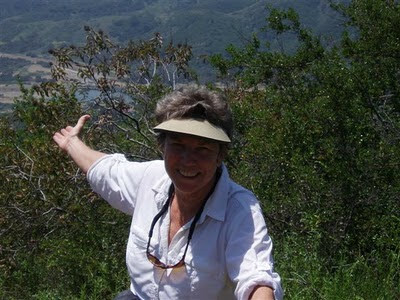 When humans could speak with animals and the world was “safe and warm,” the Chumash Indians came up Big Sycamore Canyon carrying bounty from the sea to trade with the Indians that lived at Satwiwa, aka Rancho Sierra Vista. Once a year the tribes of Gabriolino, Tongva and Chumash would meet in the vast meadow at the top of the 8-mile climb to discuss the hunting and ceremonial plans of the year. 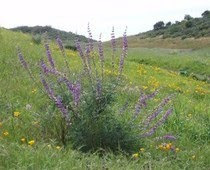 Today the meadow framed by Boney Ridge, a volcanic bluff that shelters the canyon, is honeycombed with hiking trails. 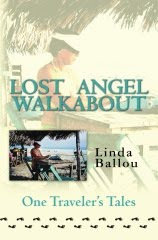 Lost Angel Walkabout; One Traveler’s Tale was selected by Ellen Barone, adventure-travel journalist and photographer, for the top travel writing book in 2010. It is exciting to be included on a list of travel writing luminaries like Tim Cahill and Rolf Potts, both writers I emulate and admire. Check out the list. I plan to read all of them! Dole brings to life the aloha spirit of Hawaii with company’s first float in the 2011Rose Parade. Dole is celebrating the unsurpassed beauty of Hawaii, where the company was founded in 1851, with this floral salute and gives special thanks to all the DOLE fans around the world. 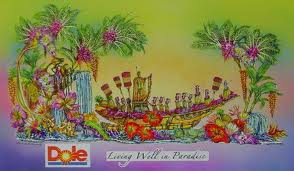 Polynesian and fire dancers will flank the “Living Well in Paradise” float which features the Hawaiian King Kamehameha, five waterfalls, whimsical monkeys, colorful birds and of course, fresh and healthy fruit grown by DOLE just for the Rose Parade. My book Wai-nani; High Chiefess of Hawaii is a celebration of the Hawaiian people of old. Through the eyes of high chiefess, Wai-nani, experience the Hawaiian society as it existed when Captain James Cook arrived at Kealakekua Bay in 1779. 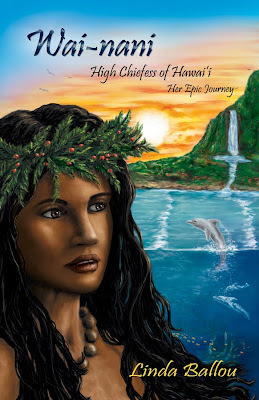 Ride the billowing seas with Eku, the wild dolphin she befriends; learn why Wai-nani defies ancient laws and harsh taboos of the Island people; share the love she received from all who knew her and learn how she rose to become the most powerful woman in old Hawaii.